I've played mas with Carnival Nationz for the past 2 years and really had a good time. I absolutely loved my costume last year even though there was some drama, Shanah worked it out. Can't wait to see their presentation this year. It's that time to find Mysterious beings that roam the globe. 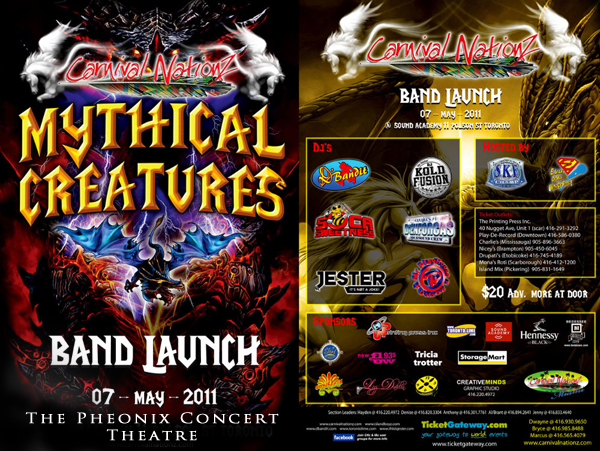 We are ready to launch and put our stamp on what is to be the most spectacular year Carnival Nationz has ever produced. Be ready to witness the most talked about band launch EVER!